Beast: [roaring] I will never apologize! Belle: Fifi, ah where are you going? Belle: I beg your pardon? Beast: Think of it, Sultan, if you help us with this you shall be part of history. Lumiere: No longer shall you be treated like a footrest…even though you are a footrest. Belle: So you won’t believe what the fairy god-mother does she casts a spell that solves all the girls problems, but there is a catch it only last until midnight. 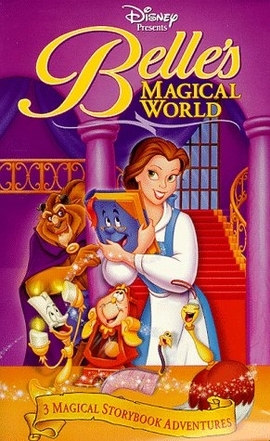 Belle: I’ve been reading the most wonderful book. Cogsworth: Well, perhaps you could tell us all about it at dinner. Things have been pleasantly tranquil with him of late. Cogsworth: Well, I meant only to refer to how well you and his grace have been getting along. Belle: Um, yes we have. Webster: Calm, serene, in a word harmonious. Belle: That is a good word. You’re a very smart dictionary. Beast: It’s my castle and I make the rules. Belle: Just because it’s your castle doesn’t mean you should be rude. Webster: Rude, offensive, primitive, abrupt. Beast: [Growls] I know what it means.